King, the future one-hit wonder responsible for the cellular telephone game Candy Crush Saga, announced today that it will pretend to be worth up to $7.6 billion before the studio inevitably collapses. As The New York Times’ Dealbook reports, King has filed a revised prospectus for an initial public offering of stock, and it intends to price its shares between $21 and $24. That means that a single share’s worth of King will cost the same as about 30 chocolate bombs in Candy Crush Saga, a game that nobody will be playing a couple years from now. The $7.6 billion self-valuation is an important public-relations step for the company, as it gives journalists a number they can reference when they eventually write stories about the studio’s sudden and calamitous decline. King, which has made a single ultra-popular game in a decade of existence, is now solidly on track for its upcoming implosion, having entered the traditional pre-IPO make-believe monkeyshines period. After the studio stumbled onto a game that a lot of people like to play while waiting in line at the bank, King is asking investors to believe that it has discovered a formula for repeated, enduring success in the mobile game industry. 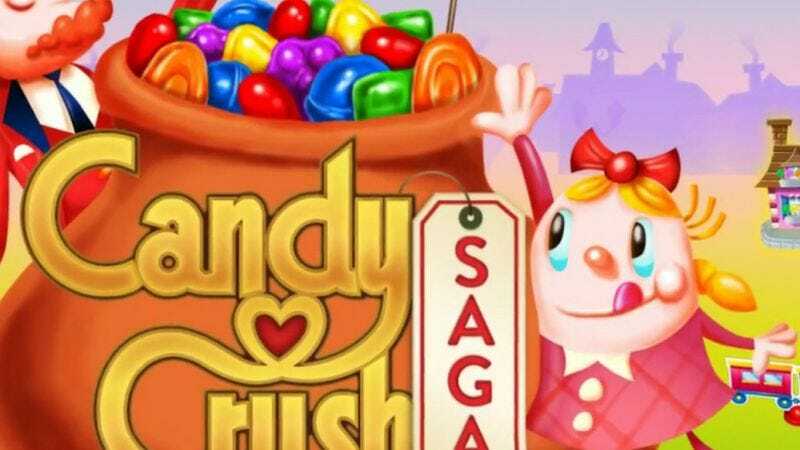 The Candy Crush firm may be taking notes from its competitor Zynga, which is in the more advanced “collapse” stage of the game-studio collapse cycle after executing its hilarious “People will never get tired of FarmVille” strategy to perfection.